The hybrid cloud model is well-accepted by IT administrators, and predictions are that its use will only grow. According to the 2017 ComputerWeekly/TechTarget IT Priorities survey, readying on-premises infrastructure for hybrid cloud was IT decision makers' No. 1 data center investment priority. For those just now making the switch, there are hybrid cloud best practices to be gleaned by looking to past adopters of the model. Technology analyst Kurt Marko notes that there are several decisions an organization needs to make before committing to hybrid. Those include whether to migrate existing apps or only new ones designed to be hybrid and whether to pick platform as a service or infrastructure as a service. Once those decisions have been made, Marko writes, there are several common mistakes to watch for in hybrid cloud deployment. Hybrid cloud best practices include having a complete service-level agreement that is understood by both the buyer and the cloud vendor, and starting small with the cloud usage and expanding from there. Also in this handbook is an article from TechTarget's Kristin Knapp, who writes about how businesses can optimize their hybrid cloud usage. As part of hybrid cloud management, organizations need to know which applications are best run on a cloud and which should stay on premises. 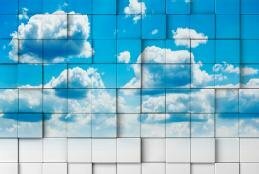 Cloud analyst David Linthicum writes that hybrid clouds may not be for everyone, and there are important questions that businesses need to ask about how applications might use hybrid cloud before making a firm decision on hybrid cloud deployment. IT professionals know that smart organizations benefit from cloud computing's power to quickly scale resources, reduce infrastructure burdens and access applications from anywhere. But they need advice to know the hybrid cloud best practices that will allow their efforts to be effective. Businesses have enjoyed the advantages of hybrid clouds for years. There have been growing pains, though, and hybrid newcomers can learn from their predecessors' mistakes. Hybrid cloud adoption continues to grow in the enterprise -- but it doesn't come easy. First, IT teams face a number of tough decisions and management challenges. Hybrid cloud was once the cool kid on the market, but its fame has faded. Enterprises wonder about hybrid cloud advantages and if they're worth the work. Hybrid cloud usage is on the rise. Before making the jump, ask the right questions about the organization, applications and cloud vendors to ensure a clean transition.